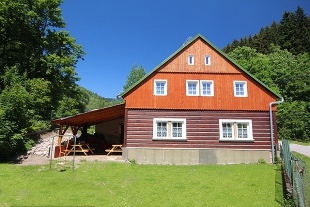 Renting a cottage Ledarna - Černý Důl, Giant Mountains. 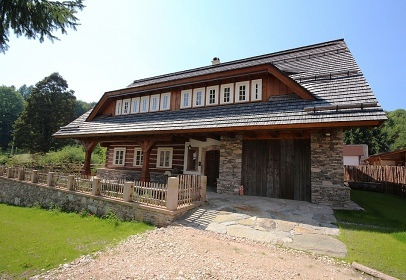 Cottage Giant Mountains Černý důl for rent. 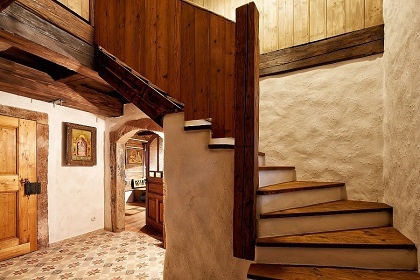 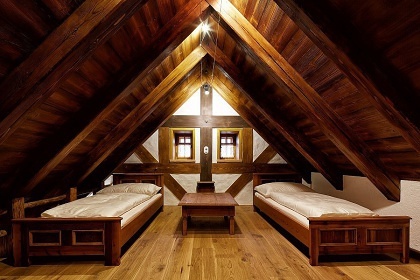 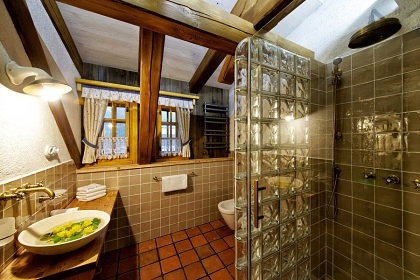 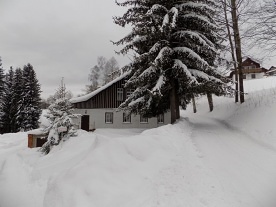 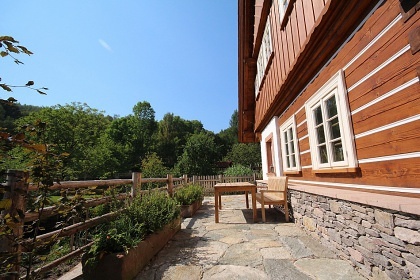 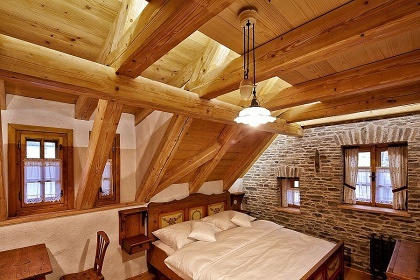 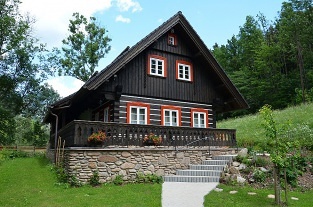 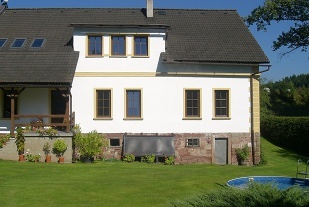 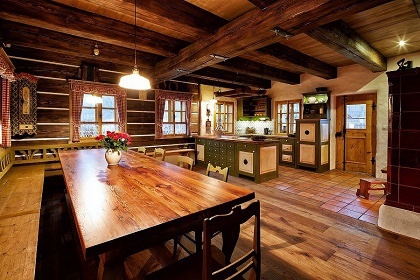 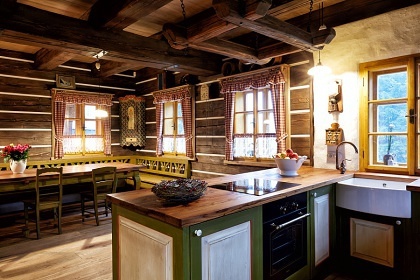 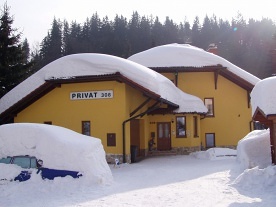 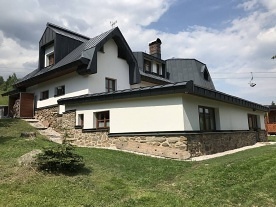 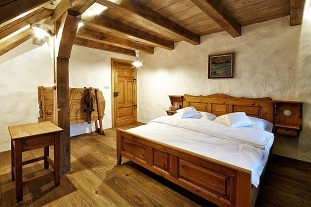 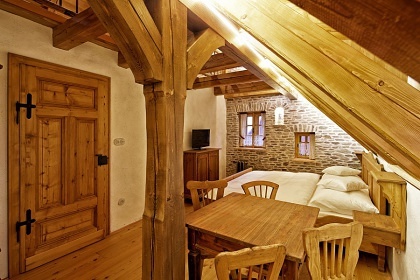 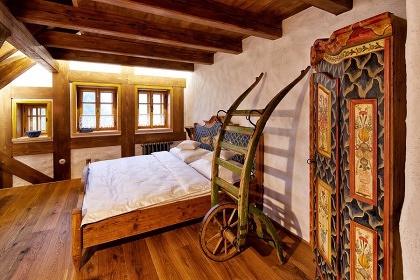 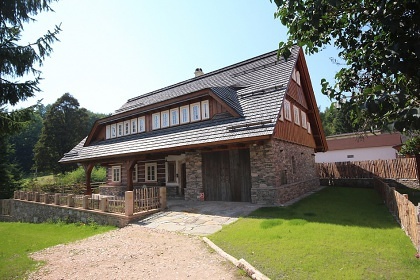 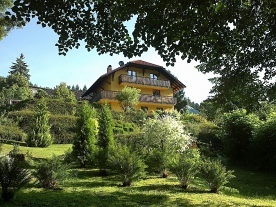 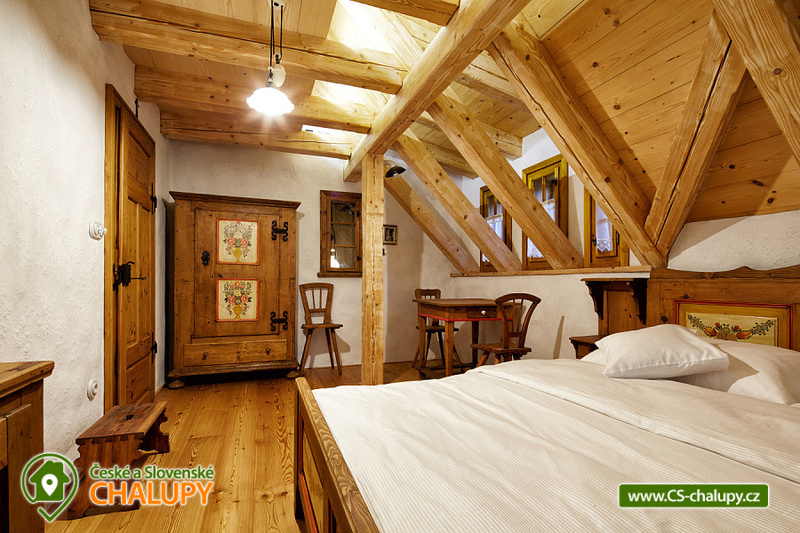 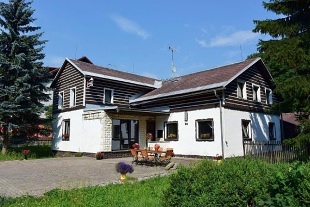 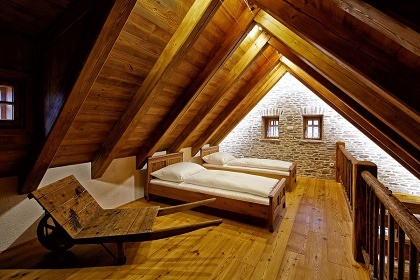 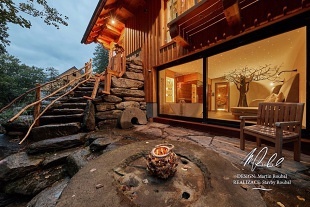 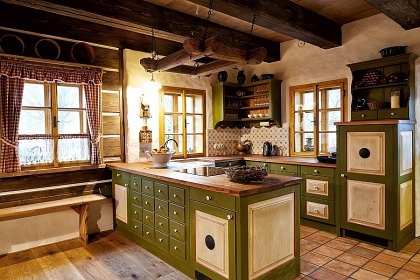 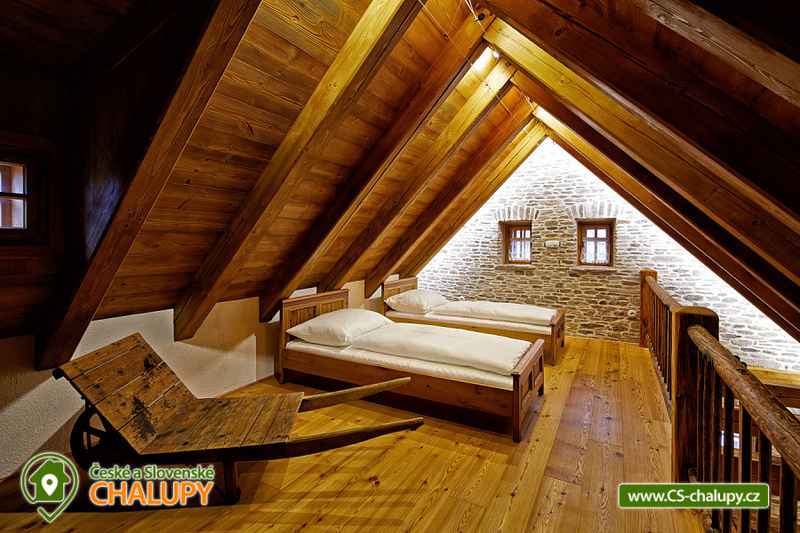 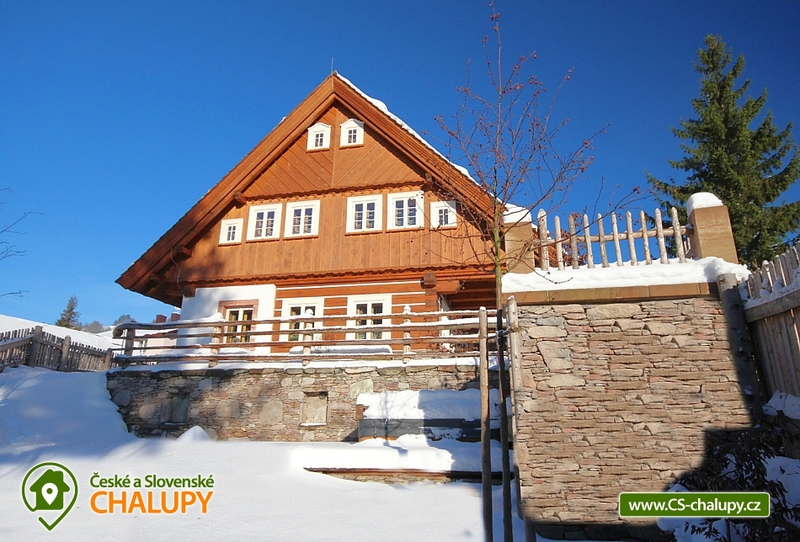 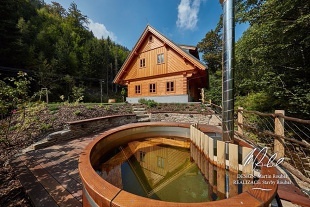 Exclusive cottage Ledarna is located in the center of the Černý důl mountain resort in the Trutnov district. 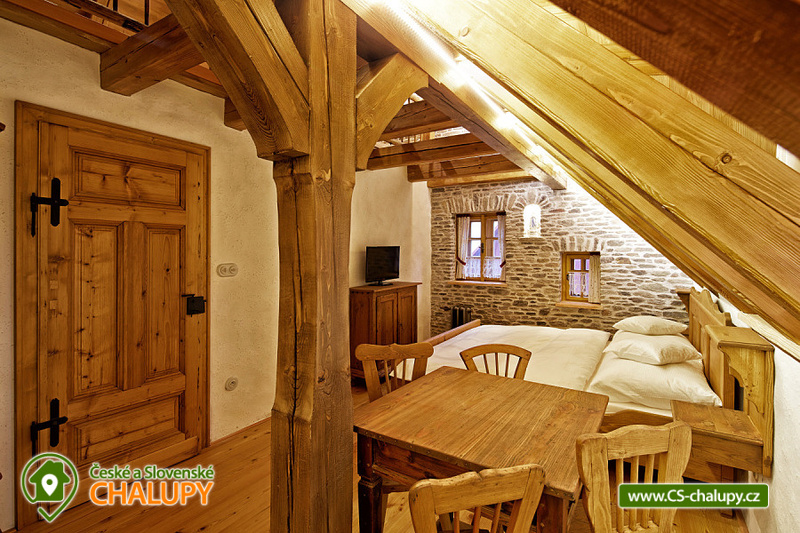 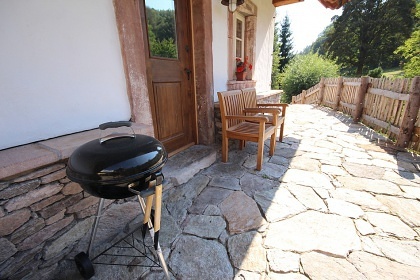 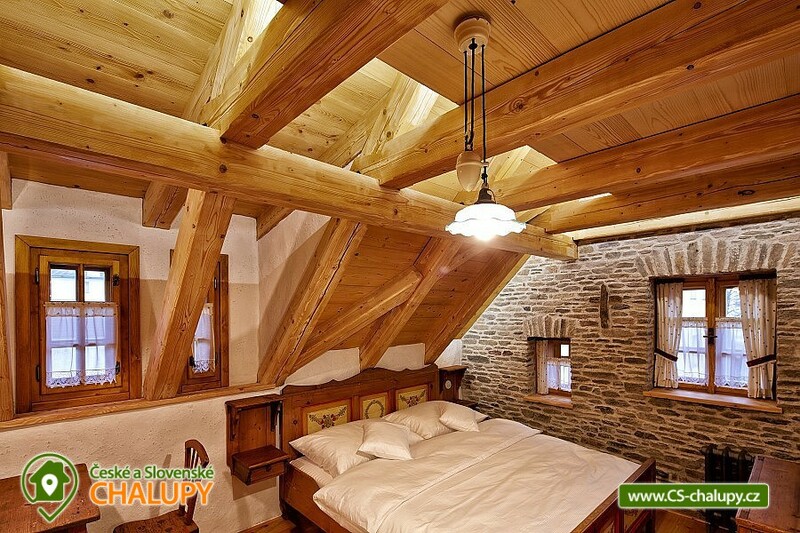 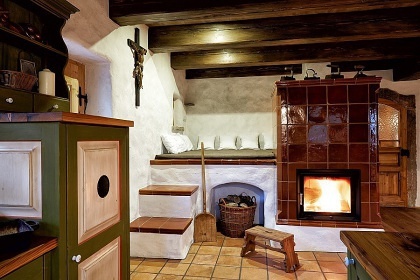 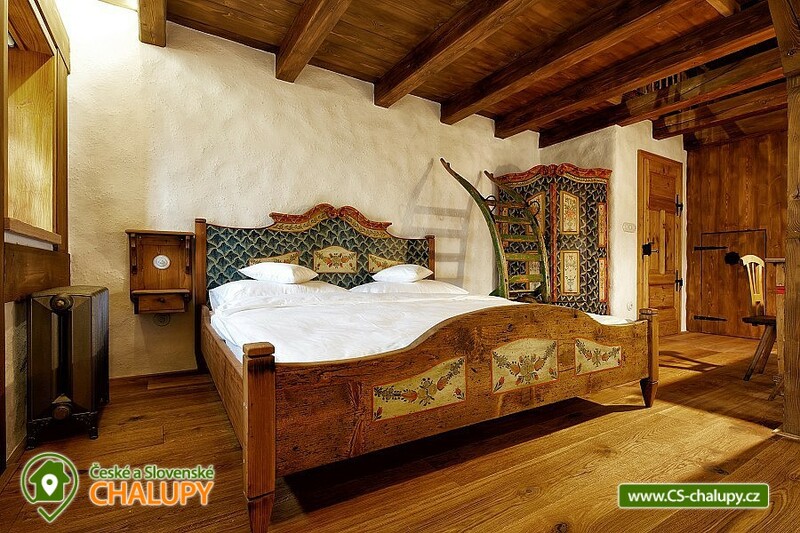 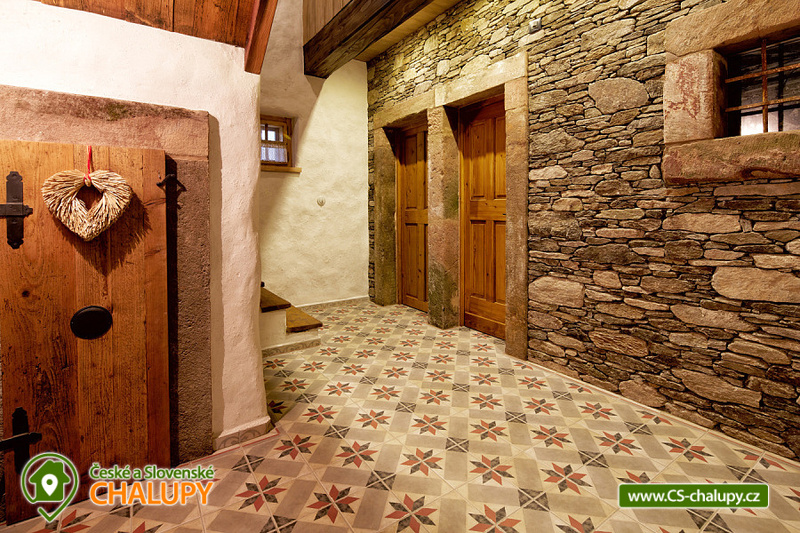 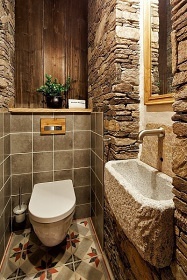 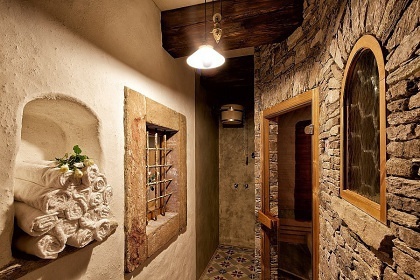 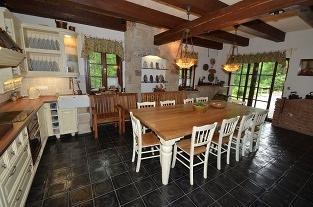 This is a period furnished cottage with romantic tiled stove in the beautiful mountain nature of the Giant Mountains. 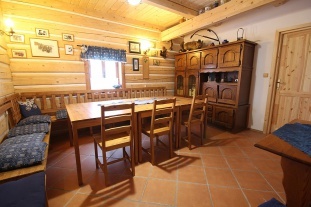 On the ground floor there is a fully equipped kitchen (baking oven, ceramic hob, dishwasher, fridge, coffee maker, electric kettle) and a large living room with a rustic dining table, a corner bench and a tiled stove (2 extra beds) . 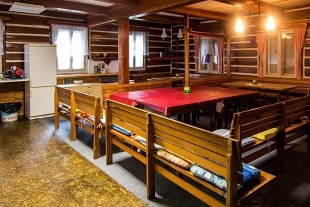 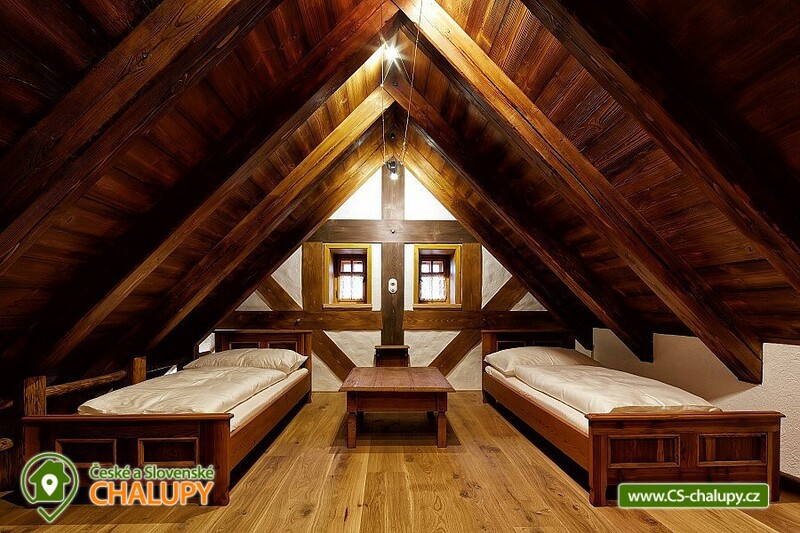 On the floor of the cottage you can find 4 bedrooms: 2x 2-bedded (doublebeds) and 2x 5-bedded (always doublebed and on the raised floor in the attic 3x single bed). 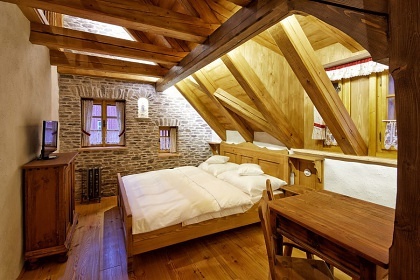 Each bedroom has a TV + SAT. 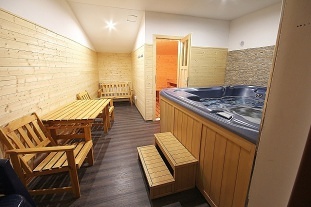 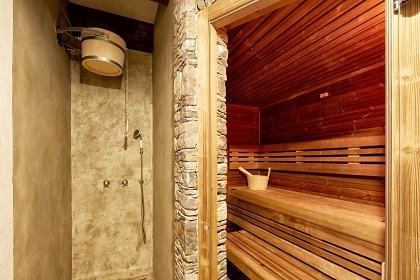 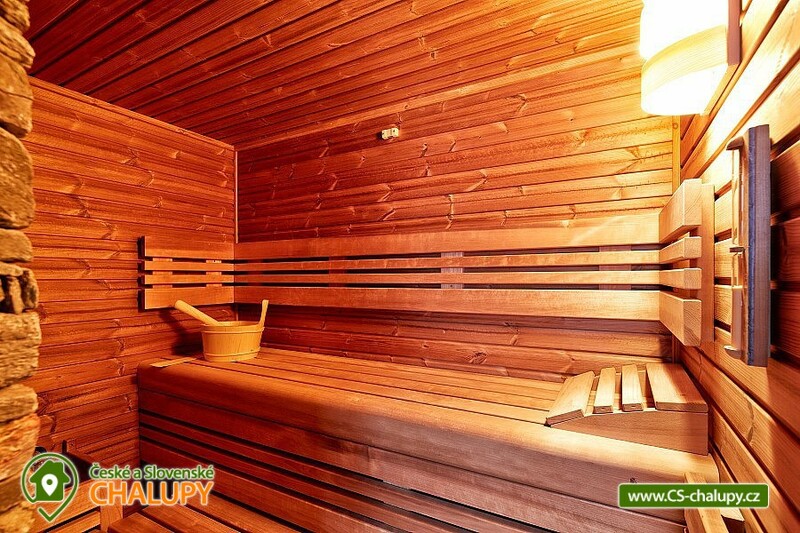 There is a sauna with a shower and a cooling coil, 2 bathrooms (1x with shower and bidet, 1x shower in the sauna), 2x toilet and washing machine. 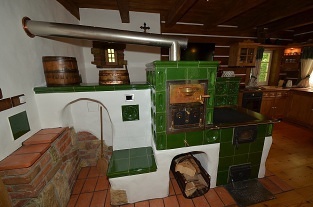 The heating is provided by a tiled wood stove in the living room and electrically underfloor heating on the ground floor and radiators on the floor. 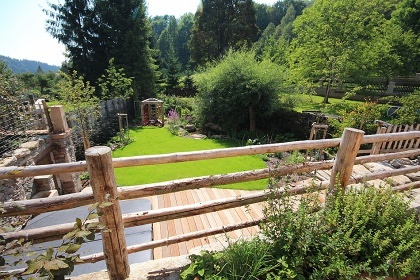 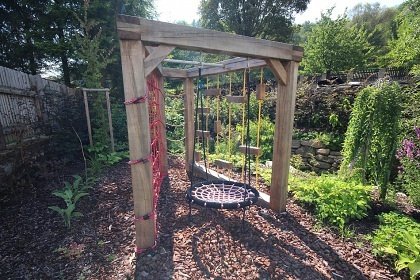 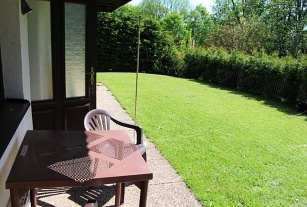 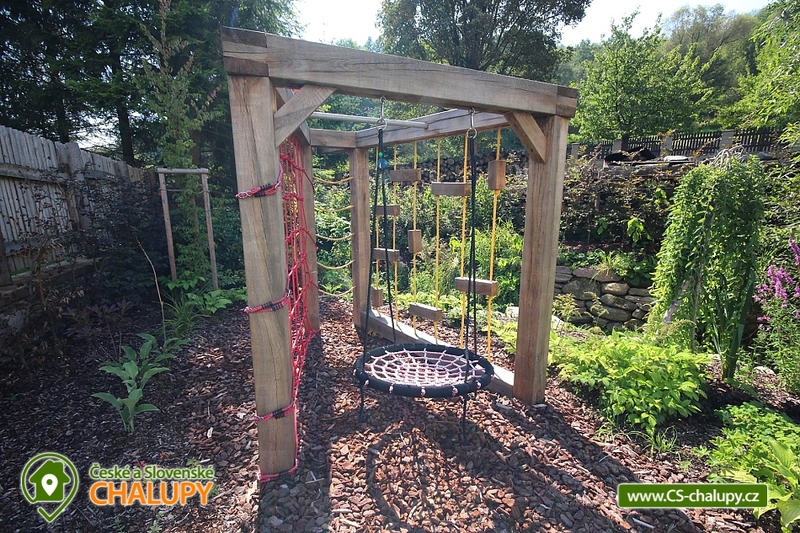 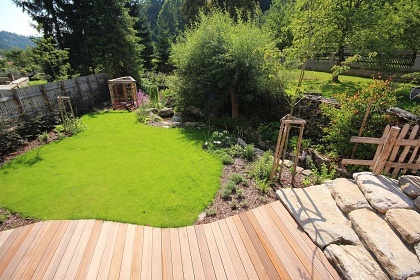 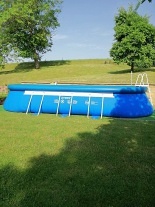 Outdoors on the fenced plot there is a terrace, garden furniture, outdoor whirlpool bath (operation only in the summer season), children's corner, ornamental pond and lockable room for the storage of sports equipment. 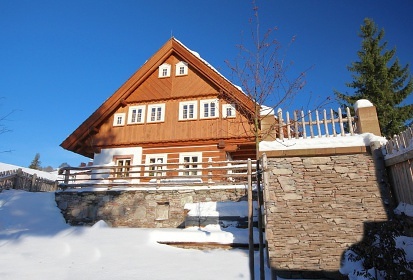 Surrounding nature invites for hiking and cycling, in winter there are ideal conditions for skiing. 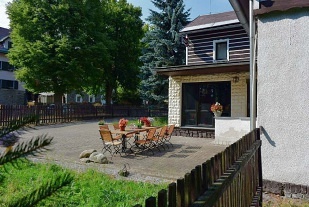 Additional information Cena obsahuje ubytování, úklid, ložní prádlo a spotřebované dřevo v krbu.